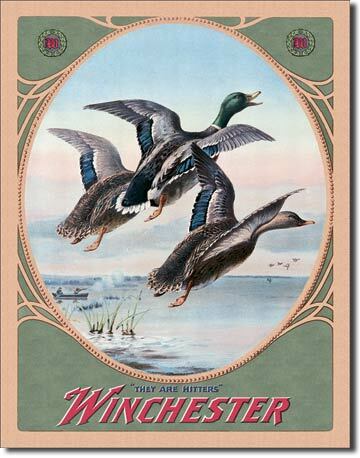 Winchester - Mallards tin sign will add a rustic look to your cabin or home. These signs are easy to hang, with pre-drilled holes in each corner and measure 12.5" wide x 16" high. 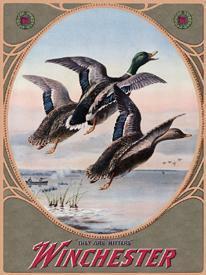 Winchester - Mallards tin sign will add a rustic look to your cabin or home, showing mallards landing at the waterhole. The sign is easy to hang, with pre-drilled holes in each corner and measures 12.5" wide x 16" high.